Clashes between the Turkish-backed mercenaries in Syria have spread to a wider region, leaving dozens dead. 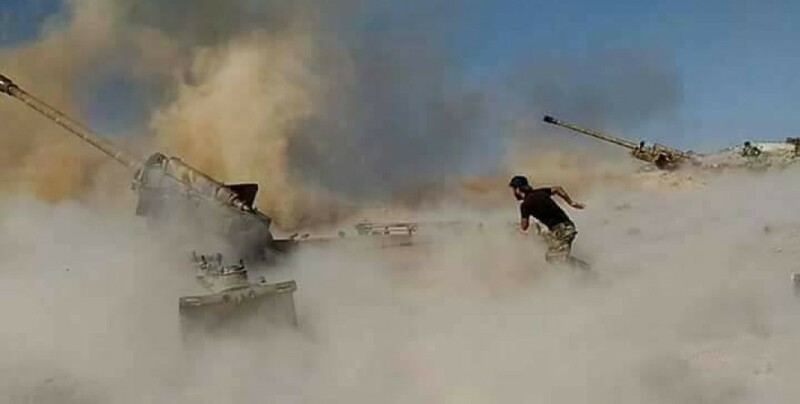 Fierce clashes have been taking place between al-Qaeda originating Hayat Tahrir Al-Sham (HTS) and the National Liberation Front (NLF) founded by Turkey since Tuesday. Fighting between the Ankara-backed mercenaries has spread to northwest Syria on Thursday. Reports suggest that more than 30 members of the two mentioned groups have been killed. According to the Syrian Observatory for Human Rights (SOHR) clashes first erupted in Aleppo and then spread to Hama and Idlib. SOHR reported that 17 members of the HTS and 16 members of the NLF have been killed in Wednesday’s confrontations. During the past two days, at least 76 people from both groups have died, while 6 civilians lost their lives. SOHR Director Rami Abdul Rahman stated that two more battle fronts have been opened as clashes spread to southwest of Idlib and northwest of Hama. According to reports, HTS is making advances and has taken control of 17 towns and villages. HTS reportedly launched a counter attack after the killing of 5 of their members by the NLF-affiliated Nuredddin el-Zenki group. SOHR stated that HTS has launched attacks on several locations in Idlib countryside with dozens of military vehicles Thursday morning.